Get lively with a collins303 breaks mix! These mixes feature funky, progressive, bassline and nu skool breaks to raise the heat as only the breaks can. A real nice 2007 mix of big room breaks and housey tunes with a rather large hip hop breakdown midway. It's a yes from me. The collins303 vs Country Cockney 5 Deck Wreckathon! 20 big room breaks tracks from 2004, mixed and spliced the Carlito way! 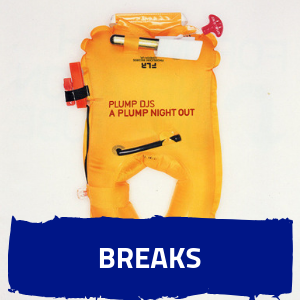 Peak time breaks and techy beats from 2004. Soundsystem tunes! Old skool hip hop and party cuts through to nu skool breaks in 70 minutes. Extra strength!